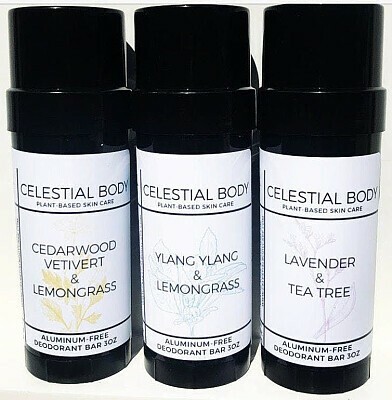 Aluminum-free deodorant that works, now in a BAR! Coconut oil comprises the base. Kaolin Clay and arrowroot absorb odors and sweat. Beeswax and shea butter help to glide the product on smoothly. Our Best-seller!